Many readers will have noticed that I have been unusually quiet since the start of the year. I assure you that this is not for any reduced interest, or will to engage in, martial writing, but rather due to the presence of a creative side-project that will take up significant resources in the next few months. Given that this has involved about 45,000 words in 1 1/2 months, and given that I have written about the same in my day job, you can see that my time is somewhat limited. But I'm finally ready to take a break from my side project to come back to martial writing - thanks largely to my friend Noah Legel and his fascinating posts on Facebook concerning "Fight Night 36" - a UFC sanctioned tournament. Noah correctly noticed that two interesting techniques executed by Erik Silva against Takenori Sato are really "old school" karate techniques and not the "newly invented techniques" that people were talking about. This gif posted by Noah below reveals both of them. Let's consider them in turn. 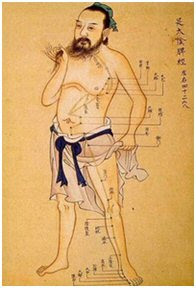 The first technique you'll notice is a toe kick to the solar plexus/abdomen. 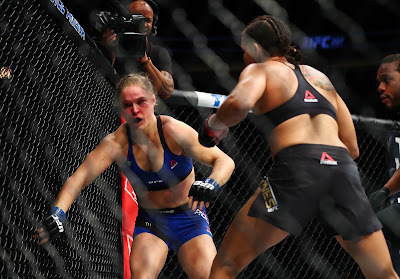 This is a seriously potent kick - and it has clearly had such an effect in this fight as I'll soon discuss. But before I get to that, what are its traditional credentials? Noah correct observes that it is a very old karate kick. From my earliest days I was told stories about how karate originally used the toe - not ball of foot - kick. For more on its history and technical deployment, I will direct you to Christopher Caile's excellent series of articles at Fightingarts.com - starting here (see also Parts 2 and 3). 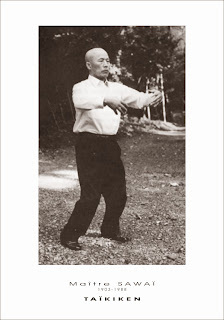 Now like most karateka, I was told this "tsumasaki" was the "predecessor" to all karate kicks; that the ball of foot was a "concession" to modern kicking methods, brought about due to the declining need for, and interest in, lethal fighting techniques. In fact, the ball of foot kick was just a "barefoot dojo innovation". But is this really "traditional karate"? 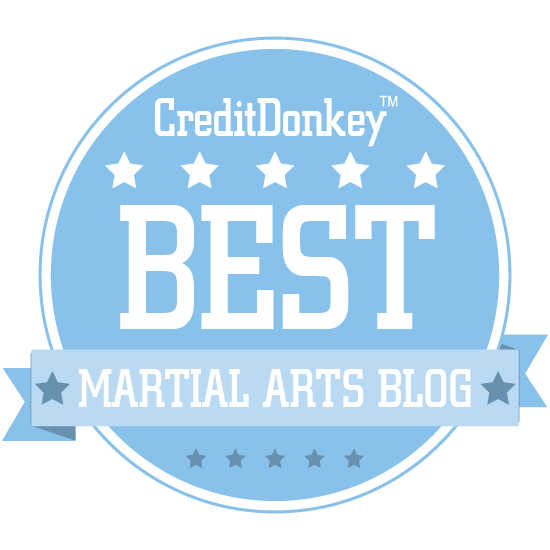 Was the toe kick ever so prevalent in Okinawan and other ancient fighting systems? Jesse Enkamp has given us a different perspective to consider, and I invite you to read it here. For my own purposes I'll strike a balance between the two and agree with both positions: yes, the toe kick was an ancient predecessor and the ball of the foot kick probably did come to the fore as a result of barefoot dojo training. But, at the same time, I severely doubt that the kind of "hard" toe kicking (breaking boards etc.) 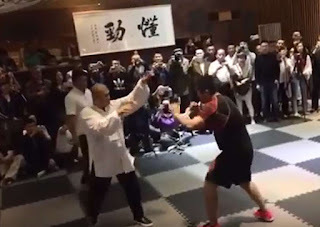 shown in the above video was contemplated by most traditional martial artists in Okinawan and Chinese history. Rather, I think most reserved toe kicks for low, soft regions. Or they kicked with the toes and ended up by kicking with the ball of the foot anyway. For the simple reason that, as I have outlined previously, most people in sufficiently advanced societies (which would include China and Okinawa during the development of of gong fu and karate) had developed the shoe - if for no other reason than that winters were cold enough to warrant them. And to survive any length of time, these shoes had to be sturdy. You'll note from my previous article that kicking in sturdy shoes inevitably means that you can't really pull your foot into the classic, barefoot, "ball of foot" shape. You can only really form a "toe kick". But, at the same time, when aimed to the midsection or higher, the toe kick in a shoe will inevitably result in the ball of foot being your main point of force transference. Why? Because a shod foot will often naturally fold the toes back on impact, causing the impact to be distributed to the ball of the foot. The latter is particularly true when the kick is aimed above the midsection; any upward moment results in the kick having a natural "scooping" tendency which can only be offset by levelling out the ankle during the "chamber" phase. But the average person's ankle flexibility is not that of a ballerina; most folks can't go "en pointe". This means that the ankle has a slight upward angle on impact - and "Voila! ": the ball of foot is the first point of contact, not the toes. Even if the toes do contact first, they do so with a bias to the under side of the toe. This, in turn, leads to the natural "fold" of the foot to favour the ball of foot, as I have mentioned above. Of course, when karate came to be practised more frequently in barefoot dojos, toe injuries also occurred more often. Why? Because unshod feet don't keep the toes together in one neat, sturdy "binding", increasing the potential for stray toes to be snagged or impact at odd angles. So, the discipline of pulling your feet back into a firm "ball of foot" became "de rigeur" in karate. Not so in China however; there kicking was still largely an activity executed with shoes. 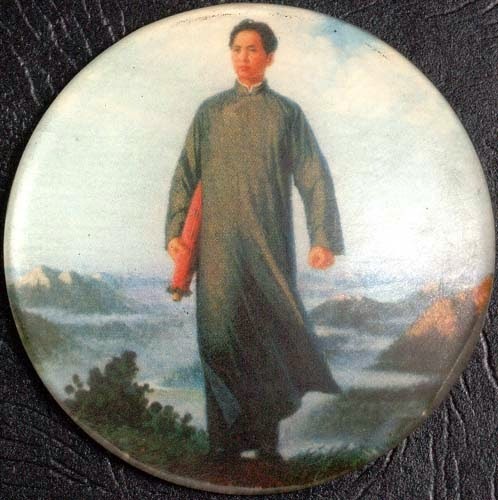 So it is hardly surprising then to find that the kicks in Chinese arts are overwhelmingly "toe" or "heel" kicks, not obvious "ball of foot" ones. And when it comes to "toe" kicks, it is simply not true that the tips of the toes are always the impact point; rather (somewhat counter intuitively! ), a "pointed toe" kick often indicates a ball of foot contact surface. 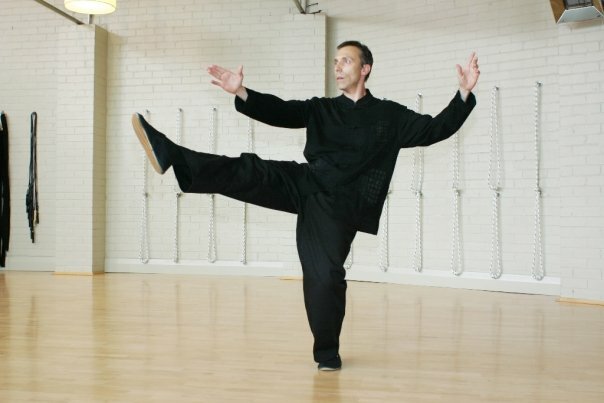 Consider the adjacent photo of me doing a "toe kick" from taijiquan and I'm sure you'll agree that, despite my best endeavours to extend my foot, I'm really only ever going to contact with the ball of foot (provided I chamber my foot correctly for the kick, that is!). When does the "toe kick" actually use the toes as the contact point? The answer is startlingly simple: it is when you kick low - to a soft target (ie. not something hard enough to necessitate the ability to break 4 boards with the tips of your toes). This is precisely what Erik Silva did: his kick hit Takenori Sato in the solar plexus - and doubled him over. How do we know the kick had this effect? Didn't Sato go on to attempt a single leg takedown? Yes, he did. But what shouldn't escape your notice is that he also held on to that leg long after it was clear that the takedown wasn't going to work. Indeed - he was copping a hammering from Silva, yet still didn't break from the grab. Why? Personally, I think this had a lot to do with a nasty toe kick from which Sato was basically trying to recover: any retreat would have required energy, tactics and composure that he couldn't muster. Having been in similar situations, I've just clung on to something for dear life. I call it the "grip reflex": you hang on to what you've got even if it isn't actually a very good thing to hang on to. And you'll more easily fall into the "grip reflex" when you're dioriented and struggling to recover from a disabling blow. Why would a toe kick be better for low, soft, targets than a simple "ball of foot"? Well first of all, the toes are more easily presented at a low level. As a test, try to keep your foot level to the ground while in a low chamber position. You'll find that ankle flexibility cuts both ways: it's hard to flex your ankle fully, just as it is hard to extend fully. Both are needed for a full "ball of foot" kick to a low target. 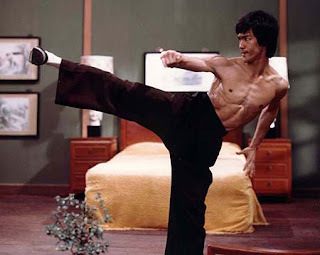 It's no wonder that for low kicks, many people prefer "kin geri" (instep kick). The other option is, of course, the "toe kick". By contrast, doing a "ball of foot kick" to, say, the groin or bladder is actually not that easy - not if you want to contact without an upward scoop anyway. Always empty your bladder before any kind of contact fighting. But the other lesson I learned was this: you don't need much force to rupture a bladder that is even partly full. In fact, you can do so with less force simply by reducing the surface area of your point of contact. To me, that is exactly what Silva did to Sato. It might not have been the bladder (it seems to have been the solar plexus, presented low because of Sato's posture) but the principle is the same: soft target, not much force, debilitating result. Sato was felled by a classic karate "tsumasaki" - even though Silva is not a karateka. 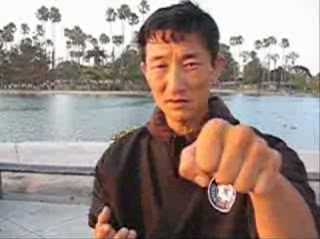 You'll note that I haven't focused on the word "tsumasaki", or on karate as the source of this technique, because to me the issue isn't just about Okinawan fighting systems; it is about a kick that was used in all far-eastern traditional civilian arts: a conservative, low power, high yield kick that utilises a small surface area to increase pressure and reduce the need for more force to achieve the desired result. What of Silva's other "hackey sack" kicks using the heel? Well aside from their rather odd angle, the same principle is being applied again: small surface area, more pressure, less force needed, more damage done. In this case, the surface is reduced by using the heel. I've previously covered kicking with the heel, so I don't propose to do so again. What I will do is post a traditional form (tiger and crane) that features such a backward "heel kick". See if you can spot it. I'll give you the tip - it looks a bit goofy! 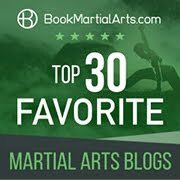 To conclude, in my view Erik Silva's techniques here aren't examples of "karate in MMA": they are merely examples of traditional (oft-derided) low-power civilian defence techniques in MMA. These will continue to appear from time to time. And no doubt they will be hailed as "something new" or "crazy" or "innovative" or "one off movements" etc. 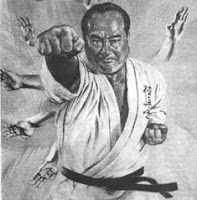 However to any practitioner of the traditional martial arts, they are often nothing new/crazy/innovative/one-off. They are simply part of a body of ancient knowledge that is still as relevant today as it was to our ancestors who once relied on such "baser" knowledge for their day-to-day existence.